As a massive fan of Amy Wilson’s other books (A Far Away Magic and A Girl Called Owl), I was thrilled when the publishers offered me the chance to get my hands on Amy’s newest book early. When it reached me, I put all other books on hold and dived into the snow-and-magic-filled world of Snowglobe. Snowglobe tells the story of Clem, a young girl who doesn’t know her mother or her mother’s family, drawn to a mysterious house one day. She’s different from the rest of the kids in school, she has powers that get her into trouble and she’s not sure how to quite control them. The house she is drawn to she has never seen before. It didn’t exist before the day she first sees it, and then it disappears again. A disappearing house? I know I’d be curious. Clem ends up inside and finds that this house is filled with snowglobes, and in one, a child she recognises. Also in this house is a frightening character who Clem has a connection to – a connection that Clem is initially unaware of. This book is just beautiful. There’s magic, darkness, light, friendship, tolerance, acceptance and wonder. You can’t read this book and not want to see the inside of one of these snowglobes. There’s a sense of danger and darkness inside this book, juxtaposed with a sense of wonder and light. Clem is constantly having to battle a heavy force of dark with her beautiful lightness. 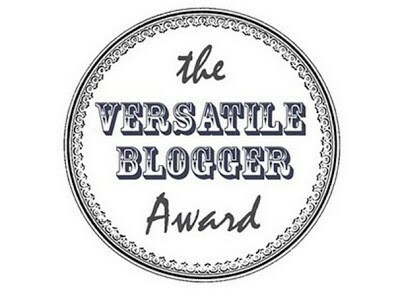 The characters are brilliantly written and I adore that here we have another brilliant female protagonist who stands up for what’s right and is brave – kids need to read characters like this. Books are excellent teachers. 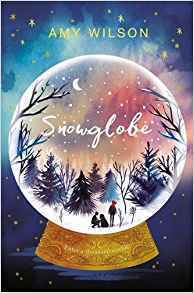 One of my favourite things about Amy’s books is that there’s always a sense of magic and believing in yourself and Snowglobe is no different. Clem and Dylan go through a lot finding their courage in themselves and each other, building trust and friendship as they go. With a cover like that one to go with it too? It’s a sure fire one that kids will want to pick up! This would be a great book in a Year 5+ classroom. I certainly can’t wait for my kids to read it! I have a feeling Clem will be well loved by kids across the land. Snowglobe is filled with magic, messages of believing in yourself, finding your own power and incredible little worlds. I really adored Dylan and Clem’s friendship. Amy Wilson yet again has written a book you can get lost, and found in, and it’s stunning. Would you like to be trapped in a snowglobe? Talk to me in the comments or on Twitter!